The 2015 Paris Climate Change Warmist Scam – Designed To Rip YOU Off! It is nothing more than a ‘Warmist’ scam without sound scientific foundation. Apparently the science surrounding alleged anthropogenic (man-made) global warming (AGW) is not really so settled after all. In a barely noticed statement released last week, NASA dropped the equivalent of a nuclear bomb on the United Nations’ climate-alarmism machine, noting that ice across Antarctica has been growing at break-neck speed for decades. The surging ice growth, of course, directly contradicts the predictions of global-warming alarmists, including a 2013 report by the increasingly discredited UN Intergovernmental Panel on Climate Change claiming, falsely as it turns out, that Antarctica was losing ice at an accelerating rate and causing rising sea levels, all supposedly owing to humanity’s emissions of the “gas of life” CO2. NASA, an outfit that has been under fire for cranking out politicized and easily discredited warming alarmism in recent years, spoke very diplomatically in its press release. It said only that its new study on Antarctic ice “challenges” the conclusions of the UN IPCC and other outfits that have allegedly studied the issue. In fact, though, the UN warmists and their cheerleaders in the establishment press could not have been more wrong. Rather than melting ice in the southern hemisphere contributing to sea-level rise, as claimed by the UN and its pseudo-scientific climate body, ice in Antarctica is expanding fast and has been for decades — and the surging ice levels are actually causing declines in sea level. The New American has for years been reporting on Antarctica’s record-breaking levels of sea ice. Until this year broke the streak, Antarctic sea-ice levels smashed through record highs three years in a row, satellite images showed. But the phenomenal ice growth actually goes even deeper than that. According to the new study, published in the Journal of Glaciology, satellite data shows the Antarctic ice sheet featured a net gain of 112 billion tons of ice a year from 1992 to 2001 — in other words, more than a trillion tons of ice in less than a decade. Between 2003 and 2008, Antarctica gained some 82 billion tons of ice annually. “We’re essentially in agreement with other studies that show an increase in ice discharge in the Antarctic Peninsula and the Thwaites and Pine Island region of West Antarctica,” explained Jay Zwally, a glaciologist with NASA Goddard Space Flight Center and lead author of the new study. “Our main disagreement is for East Antarctica and the interior of West Antarctica — there, we see an ice gain that exceeds the losses in the other areas.” According to NASA, virtually all of the net growth has come from eastern Antarctica, which gained an estimated 200 billion tons of ice per year between 1992 and 2008. Those gains dwarf the much-touted losses from western Antarctica, which amounted to some 65 billion tons per year. Compare those facts to claims made by the UN IPCC. In 2007, for example, the UN outfit claimed the ice sheets of Antarctica “are very likely shrinking,” with Antarctica “contributing 0.2 ± 0.35 mm yr–1 to sea level rise over the period 1993 to 2003.” The UN also claimed there was “evidence” of “accelerated loss through 2005.” It also claimed, falsely, that thickening of “high-altitude, cold regions” of east Antarctica “has been more than offset by thinning in coastal regions” of West Antarctica. In 2013, the UN doubled down on its false claim, and claimed even greater sea-level rises attributed to Antarctica. The report also claimed to have “medium confidence,” whatever that unscientific term means, “in projections of glacier mass loss and Antarctic surface mass balance.” The report even included a handy map image purporting to show sea-level rise due to “melting” of the West Antarctic ice sheet — apparently the “output” of one of the infamously inaccurate UN “models” used to predict doom and gloom if humanity refuses to submit to the UN’s sought-after “climate” regime. But, like virtually every falsifiable claim and prediction it has made so far, the UN’s Antarctic ice ramblings turned out to be wrong — illustrated most graphically and most comically, perhaps, when a ship full of global-warming alarmists seeking to study “global warming” in Antarctica got their ship trapped in record Antarctic ice in the summer. If IPCC claims of sea-level rise were not scary enough to sell you a planetary global-warming regime with awesome powers over every human being, perhaps this, also from the IPCC report, would do the trick: “Abrupt and irreversible ice loss from a potential instability of marine-based sectors of the Antarctic ice sheet in response to climate forcing is possible.” It is also possible that pigs could fly, but it hardly makes sense to make policy for the world based on everything that might be “possible.” Indeed, if humanity had listened to “climate scientists” during the global-cooling scare of a few decades ago, governments might still be “melting the arctic ice cap by covering it with black soot or diverting arctic rivers,” the possible “solutions” to global cooling touted by the alarmists of the day in a Newsweek cover story. “But the fraud is much worse than it seems,” he continued, pointing out that alleged “collapse” of the west Antarctic Ice Sheet was occurring during the cold 1970’s — “and scientists knew that it had nothing to do with climate.” In fact, the Ross Ice Shelf in West Antarctica “has been rapidly retreating more than four feet per day since at least 1830, and possibly for centuries,” he added, saying it has “nothing to do with CO2, and there is nothing anyone can do to stop it.” Goddard also noted, citing IPCC data and comments from IPCC scientists, that eight years ago, the IPCC knew full well that Antarctica was gaining ice, but governments demanded that facts be concealed in favor of warming propaganda. Of course, the IPCC, and its sea-level scaremongering in particular, were long ago dismissed by serious experts. In 2010, Professor Nils-Axel Mörner, one of the world’s foremost experts on sea levels and the retired head of the Paleogeophysics and Geodynamics Department at Stockholm University, told The New American that by serving as an expert reviewer for the IPCC’s sea-level section, he had the opportunity to understand the UN body’s inner workings. And it is doomed to fail, he said. Speaking of the chapter on sea-level he was supposed to review, Mörner said it was of “very poor quality.” And the hysteria surrounding sea-level rises, like most of the IPCC scaremongering, “is not grounded in reality,” he added. Mörner also explained that the panel chose its authors based on loyalty, not credentials. And despite warning the IPCC about errors, they mostly ignored his advice. But the anti-science attitude came back to haunt them eventually. 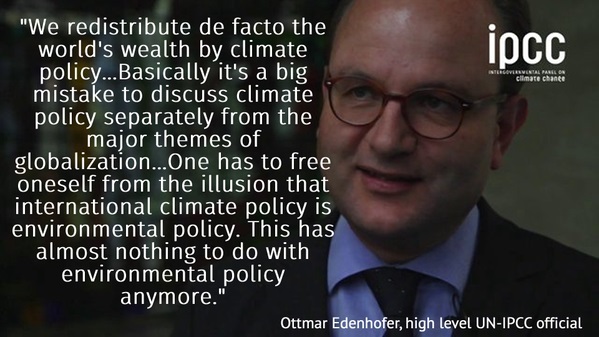 The Climategate mega-scandal was “wonderful,” Mörner exclaimed. He called the scandal an “iceberg of shame,” noting that there was still much to be discovered. “The first thing which has to come now is the restoration of scientific values,” he said, explaining that the climate campaign had “autocratically” tried to impose beliefs on the public that were not based on science. And with NASA’s latest study, once again, Mörner’s criticism has been vindicated. Of course, NASA itself has been struggling with credibility issues surrounding “climate change.” In recent months and years, for example, the agency has been emitting an avalanche of easily discredited claims — warmest month, or year, or whatever, on record, for example — that are debunked by NASA’s own publicly available data. It has also been repeatedly accused of manipulating surface-temperature data to show warming when none exists. Yet, its own satellites show there has been no warming in close to two decades and counting. NASA’s latest statement on its study also included some unverifiable caveats and claims — decades from now, Antarctica might lose some ice, for instance — presumably intended to keep the climate alarmism alive and tax funds flowing. 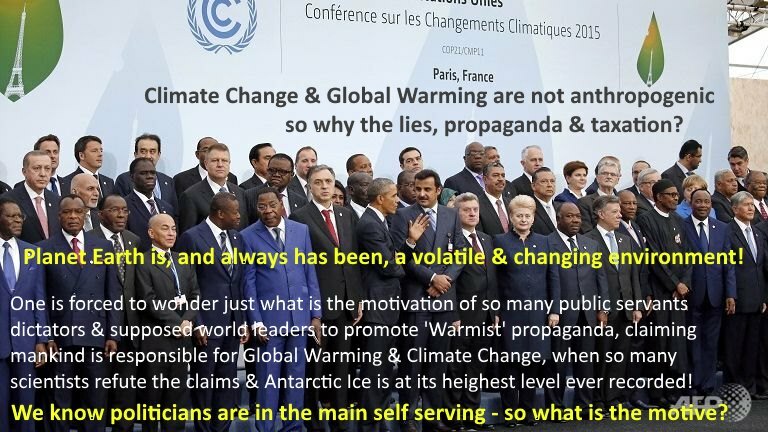 Even worse than NASA and the IPCC, though, has been the establishment press, which trumpets every conceivable false claim on alleged “man-made global warming” while brazenly deceiving readers and viewers with wild propaganda. The latest information on growing ice in Antarctica, for example, was almost completely blacked out by the U.S. media. In fairness, though, the comments were published on Friday, which is the day PR operatives always recommend for announcements that clients hope will be ignored by the press and the public. 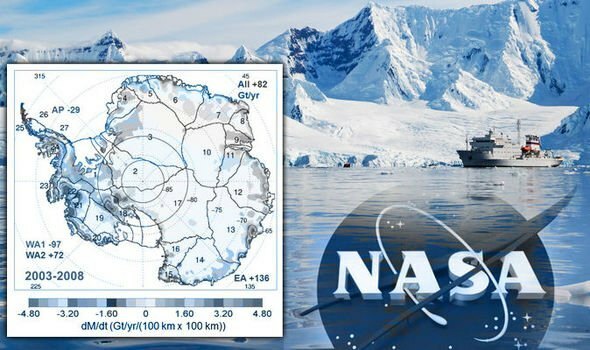 But, considering the fact that the establishment press was almost universally duped last summer by the bogus hysteria surrounding Antarctic ice, it should be no surprise that they failed to report the latest NASA findings. Polls and surveys show just one in five Americans trust the national press. And a Pew study last year revealed that just 40 percent of Americans believe the man-made global-warming theory, which continues to be discredited by the observable evidence. However, the establishment has invested too much time, money, and credibility into the AGW hysteria to let the facts get in the way now. And with the UN convening governments and dictators from around the world at Paris in December for a “climate” summit to shackle humanity with UN edicts, expect the propaganda to become more and more shrill in the weeks to come. As whistleblowers and facts keep piling up to debunk the alarmism, though, the radical mission of the “Paris-ites,” as critics are calling UN climate summit attendees, is not going to get any easier. 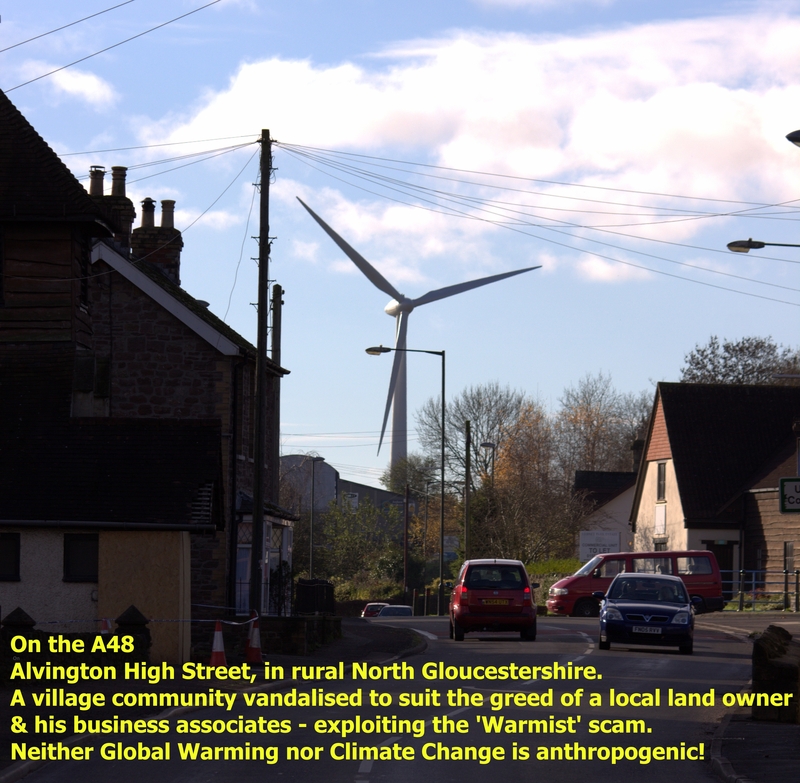 Just what exactly is the long term aim of the scam that is installing these unsightly, costly, divisive and grossly inefficient monsters that destroy wildlife, are both ecologically and environmentally damaging – all seemingly to prop up the non science of the ‘Warmists’? 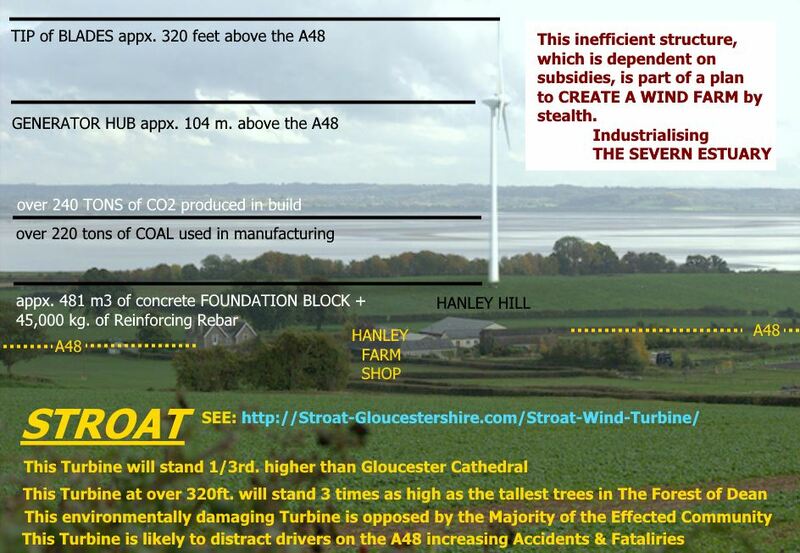 If the vandals have their way here is the next one in the Severn Estuary by stealth Wind Farm in the tiny hamlet of Stroat. All part of the costly scam being dishonestly fronted in Paris at the moment. Few realise that the most expensive Act of Parliament EVER passed in Britain is the legislation regarding Climate Change, for which there is absolutely no trustworthy scientific evidence to indicate that either global warming or climate change are related in any significant way to the activities of mankind! At a time when, like most countries around the world, Britain is deeply in debt this Bill has been passed when there is absolutely zero chance of ever footing the costs – another irresponsible and profligate act by our politicians when they have not even resolved how to fund the 1909 pensions act, which currently underlies our technical bankruptcy!